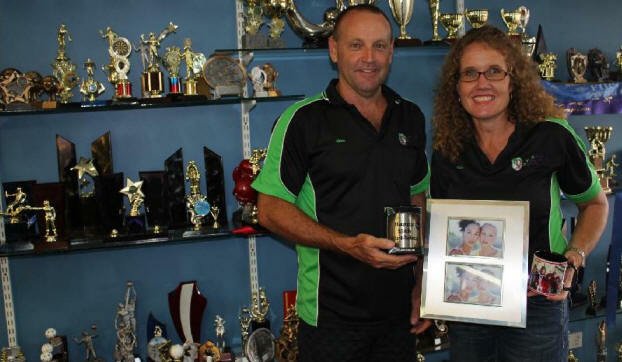 Husband and wife team Warren and Elaine Phillips have trophies and awards for virtually all the sports you can think of. 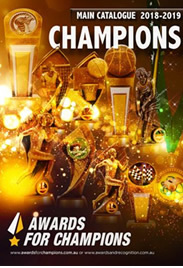 Atherton Trophies is the premier trophy and engraving shop for sporting clubs, schools, corporate companies and individuals. Based in Atherton we are a locally owned and locally run business. Atherton Trophies are well established in the industry and are able to meet all your trophy and engraving needs. Our shop covers 75m², with our showroom displaying hundreds of trophies, glassware, plaques, medallions, ribbons, giftware and much more. We pride ourselves on a fast, friendly and efficient service. Offering our customers’ high quality products, excellent service as well as competitive pricing.